As a mom and a health coach, I spend most of my waking hours thinking about nutrition. While we shop, cook and eat, I am teaching my kids the importance of food quality and eating well. I do all of this to protect them from illness and to create a healthy future for them. Most would agree that all parents strive to protect their kids in different ways and to different degrees. Sometimes the dangers are real and sometimes they are imagined. Those of us with anxiety issues are burdened with these fears on a much higher level and far more frequently than the average person. At times, when there are preventable tragedies in our world, the DANGER alarms start blaring in our heads and it’s nearly impossible to turn them off. This is why I recently wrote this Open Letter to America on my facebook page. I needed to share what I was going through with the people I care about, so they could better understand my struggle. Now I feel this letter should be more “Open”, so I share it here with you. My hope is that it helps others that are plagued by these same fears to not feel as alone as I did. I use to feel that I was just falling prey to my own overbearing fears, that it was just me being an uber protective mom. OK, those that know me know that yes, I take over protective to new levels. But things have definitely escalated since Newtown when all those innocent children were wiped from existence in one terrible moment, at least in my mind. But today, after yet another theater shooting, I think it’s me that’s being realistic and everyone else is just floating along in their own blissful reality that nothing could ever happen to their kids or themselves. 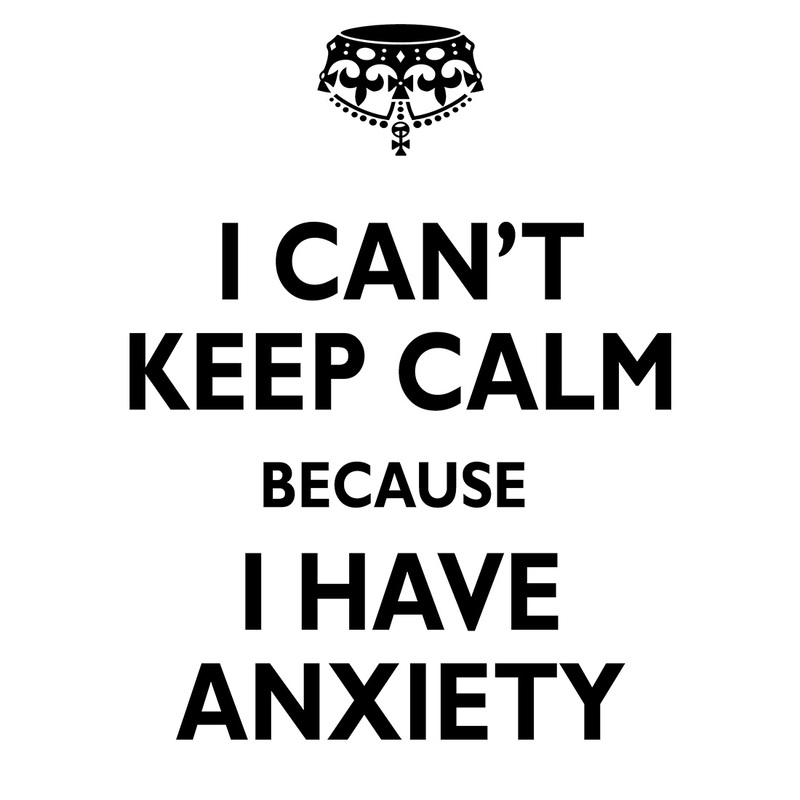 Sure, maybe I need therapy for my anxiety. I’ll own up to that one. I try to enjoy life as much as I possibly can even with these nagging, horrible thoughts in my head, but it’s not easy. Let me walk you through what happens in my head when I walk in to a restaurant/theater/mall/grocery store/town pool (you know, any place there happens to be people). First, I look at everyone that is there, I mean really look at them. I quickly evaluate the situation to see that everyone is being civil and that it seems safe to enter. Then as I am seated with my family, I notice where we are. Can I see the entrance? Do I have a clear path to the exits? Could we dive into the kitchen or bathroom or under the table if need be to avoid being shot with a semi automatic? If we are in a park or down town, I take note of everyone that walks by or enters our area. Are they friendly? Are they carrying a large bag? Would I be able to tackle my kids to the ground to use my body as their shield? Could I possibly take that person down by myself? These thoughts are extreme and scary, but are they that far fetched in America right now? Yes, I still go out. No, I won’t let my fears stop me from enjoying my family and regular activities. Sometimes I can even turn off or at least turn down the WARNING alerts that go off in my mind. But they’re never gone for long and on days like today, they are deafening. I’m planning to take my kids to the dollar movie tomorrow, because that’s what sane moms do. But will I relax enough to be able to laugh with them and forget the threat that we could all be blown to smithereens because an unstable person got their hands on some firearms meant for soldiers in battle? I’ll do my best. I really will. I just ask this from the rest of you. Will you do your best to get this craziness under control? Will you ask yourself these questions? Why is America like this? Why isn’t everywhere else like this? Why do we keep letting this happen? What are we going to do about it? When will our kids lives trump someone’s right to own guns? I’m sorry, but if you can look me in the eye and tell me your gun is more important than my four year old’s life, there’s a problem. You have guns to protect your family? Fantastic. Let’s all somehow figure out a way to keep them in your house away from your kids and mine. There is a way. Most other countries have somehow figured out how. Maybe we can look outside of our little America tunnel and learn from them. I may lose friends and family from this letter, but I’ve been holding this in for way too long, so I guess I’m OK with that. The people that love me and my kids will understand and that’s what matters to me in the end. Are you frustrated with all the headlines warning you to NEVER eat certain foods if you want to have a flat tummy? There are new articles informing us daily about the dangers of eating bread, pasta, bananas and orange juice, to name just a few. 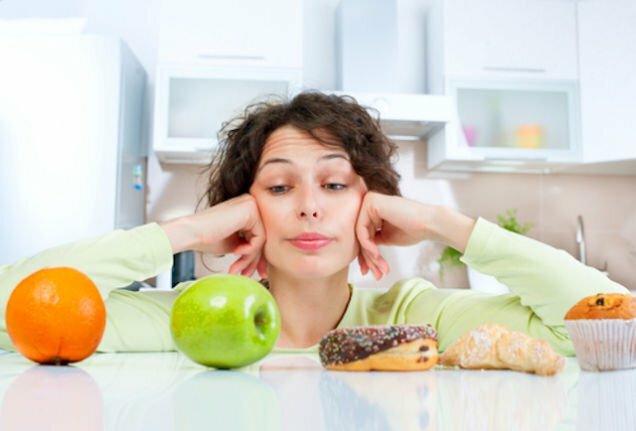 While overindulging in any of these foods is not the best way to create a lean, healthy body, avoiding them altogether may do more harm than good. 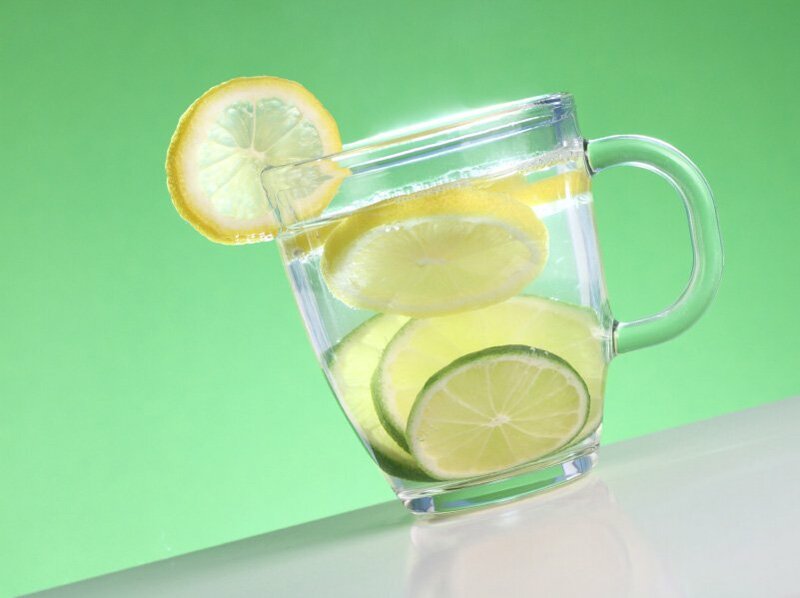 If you haven’t seen at least one article about the amazing results you’ll get from starting your day with warm lemon water in your Facebook news feed, you may be living under a rock. The citrusy wonder drink is the biggest thing to have hit the wellness community since quinoa. Hey guys! Its been a while. I’ve been super busy with coaching, starting an online business course, being a mom to my two boys and working as a contributing writer for fitlife.tv. I’m super excited about that last one. Writing for fitlife.tv has given me the chance to share my knowledge and experience with even more people that are trying to get healthy. fitlife.tv is a fantastic resource for anyone interested in health and fitness. Here are the articles of mine that have been published so far. I will share them here in the future, so you can stay up to date with what I’m doing. 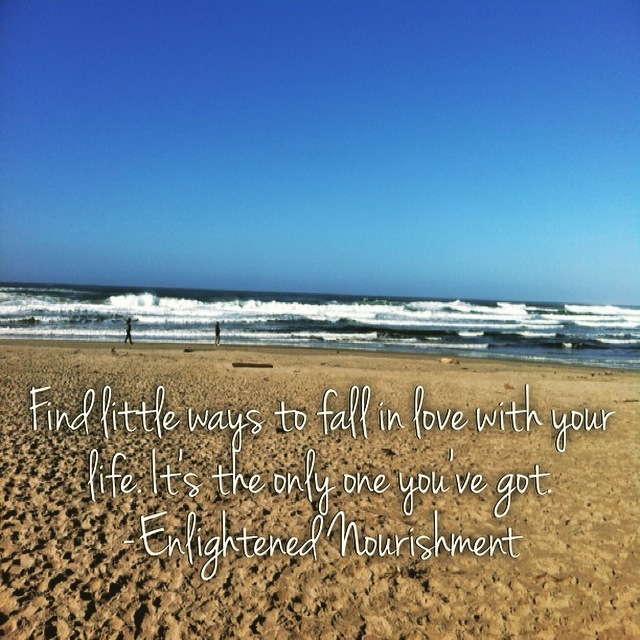 I also just finished up a Week of Chocolate on my Enlightened Nourishment facebook page. If you haven’t like my page yet, you’ll want to today. Cleansing is for Stridex and Scrubbing Bubbles. Recipes For Staying Healthy and Feeling Better Faster! For the final installment in this series I am sharing the recipes I use to keep my family healthy during cold, flu and even allergy season. I try the best I can to avoid using over the counter medications if there is a natural homemade remedy that will work. Mostly though, I use preventative measures to ensure that we get sick less and therefore don’t need as many medicines or trips to the doctor. There is no actual juice in this drink but when you call something juice, my kids are sure to want it. I found this recipe on the back of the Bragg Organic Raw-Unfiltered Apple Cider Vinegar bottle. They call it Bragg Vinegar Health Drink. My kids ask for it every morning as soon as they get out of bed. They love the flavor and they know it keeps them healthy, so it’s a win win situation. Here’s the recipe below. Stir together until completely blended and drink once or twice a day! There are many recipes on-line for homemade elderberry syrup and I guess the best way to find the one you like is to just try a few and see which one your family likes. Unfortunately elderberries can be expensive, so make a small batch at first to see if you like it. This is my variation on one I found by Wellness Mama during my own search. Bring water, elderberries, ginger, cinnamon and cloves to a boil. Cover and reduce to a simmer for at least 45 minutes. The contents of the pan should have reduced by almost half. Let the mixture cool. Strain through a strainer in to a tall glass jar. Add the honey and stir until completely blended. This keeps in the refrigerator for 2 weeks. My kids take one tsp in the morning and one at night to maintain a strong immune system. My husband and I take a Tbsp each day. When my oldest is sick with a cold or upset stomach he always asks for Super Duper Tea. It’s a very simple and yummy way to make anyone feel better when they are under the weather. Heat water in tea kettle til warm, not hot. Pour over tea bag/s and brew for 5 minutes. Stir in honey and enjoy. For more information on staying healthy year round, check out my previous posts in this series. Have a wonderful and vibrant holiday season! A while back I wrote a blog post about inflammation and how to control it naturally with foods and supplements. In the post I touched on the subject of respiratory health and inflammation. Instead of rehashing all of that again for this series on how to stay healthy during cold and flu season, I am providing the link to the earlier post here. I mainly utilize the contents of my spice cabinet throughout the year to keep my family’s respiratory health in tip top shape. 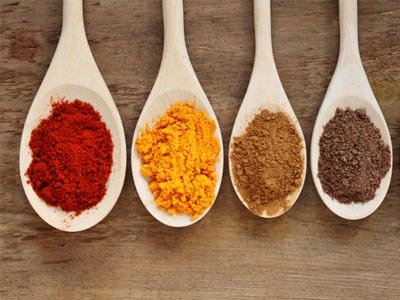 As I mentioned in the earlier post cinnamon, ginger, black pepper, cayenne pepper, turmeric, cumin and cloves are incredible for reducing inflammation in your breathing pathways. I add the spices to the foods and beverages that we consume the most to make sure we have them daily. Now that I think of it, I wrote another post quite a while ago about the awesomeness of cinnamon and how I use it. The link to that post is here. So far in this series we’ve covered how a healthy gut leads to a strong immune system, increasing our antioxidant intake and using anti-inflammatory foods to boost you respiratory health. 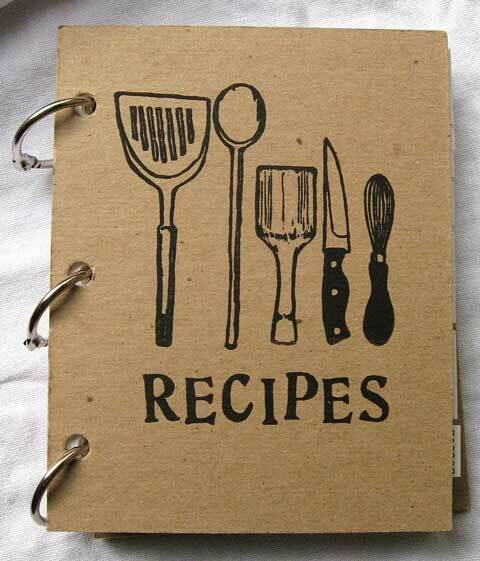 The last installment will contain recipes I use daily or seasonally to keep my family going strong. Stay tuned! Friday I told you about boosting your immune system through strengthening your digestive tract. Today we are continuing the topic of immunity with antioxidants. What are they and why do we need them to stay healthy? 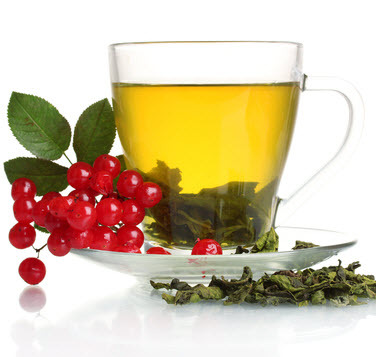 According to Wikipedia; An antioxidant is a molecule that inhibits the oxidation of other molecules. Oxidation is a chemical reaction that transfers electrons or hydrogen from a substance to an oxidizing agent. Oxidation reactions can produce free radicals. In turn, these radicals can start chain reactions. When the chain reaction occurs in a cell, it can cause damage or death to the cell. Antioxidants terminate these chain reactions by removing free radical intermediates, and inhibit other oxidation reactions. They do this by being oxidized themselves, so antioxidants are often reducing agents such as thiols, ascorbic acid, or polyphenols. Simply put, antioxidants protect our cells from being destroyed by oxidation. We can’t fight off illness and disease with weak cell structures. Therefore we want to have as many foods that are high in antioxidants in our daily diet as possible to stay healthy. Below I will list the foods highest in antioxidants. The foods marked with an * are the ones I use most. Tis the season for mold allergies, head and chest colds and of course the dreaded influenza. Kids are missing school or being held out of daycare. Adults are missing work and social engagements. We’re all nervous about the spread of dangerous and even deadly viruses. How can we have a better chance of avoiding sickness in the next four to six months? Mostly it’s about self care, awareness of our bodies and utilizing the ingredients that most of us already have in our cabinets and refrigerators at home. In the next few days I’m going to be highlighting some of the top ways that I successfully keep my family healthy when everyone around us is falling ill. I hope to supply you with the knowledge you’ll need to keep you and yours feeling great all year long. The best way to minimize your chances of getting sick is to strengthen your immune system. This might seem obvious to some, but I find myself reminding people of the need for a strong immune system almost daily. I’m going to touch on the most effective immune boosters in this post. It’s important to know that 80 percent of your immune system is centered in your gut. If your gut is weak, so is your barrier against sickness. In order to strengthen your digestive system, you need to do two things. First you need to pinpoint any food allergies you may have and eliminate those foods from your diet. Second you need to build or rebuild your healthy gut lining with probiotics. After finding out if you have any food allergies, the next step is creating a strong intestinal lining. The best way to do this is with the use of probiotics. You don’t need to take pills for this, but it is much more convenient at the end of the day. You can also add fermented foods into your daily diet to get the same effects. Pickled vegetables, sauerkraut, kimchi, plain yogurt, kefir and kombucha tea are some of the obvious choices in the world of fermentation. Yes, wine is also fermented. 🙂 I personally take a high dose of probiotics in pill form daily to stay healthy. Due to the high salt content of most pickled foods and the effects of dairy on my respiratory system, pills are a much better option for me. It’s a personal choice and I’ll leave that up to you. Maybe a combination of both foods and pills will work for you.